What is Wildcard SSL? Do You Need It? 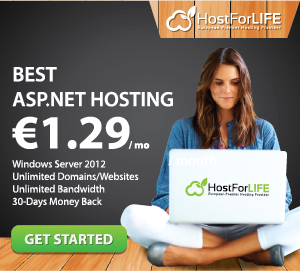 HostForLIFE.eu is Microsoft No #1 Recommended Windows and ASP.NET Hosting in European Continent. HostForLIFE.eu offers a highly redundant, carrier-class architecture, designed around the needs of shared hosting customers. The company’s prices for shared and dedicated hosting are competitive; its features and perks are robust; and its stated commitment to outstanding customer service and support is manifest in its bevy of award-winning ancillary services. Are You Sure You Have Choose Reliable Hosting?! Check OUT Below! Say NO to WordPress SPAM! How to Use HTTPS on Your Site? Mobile Friendly Affects Your Google Rank. How?